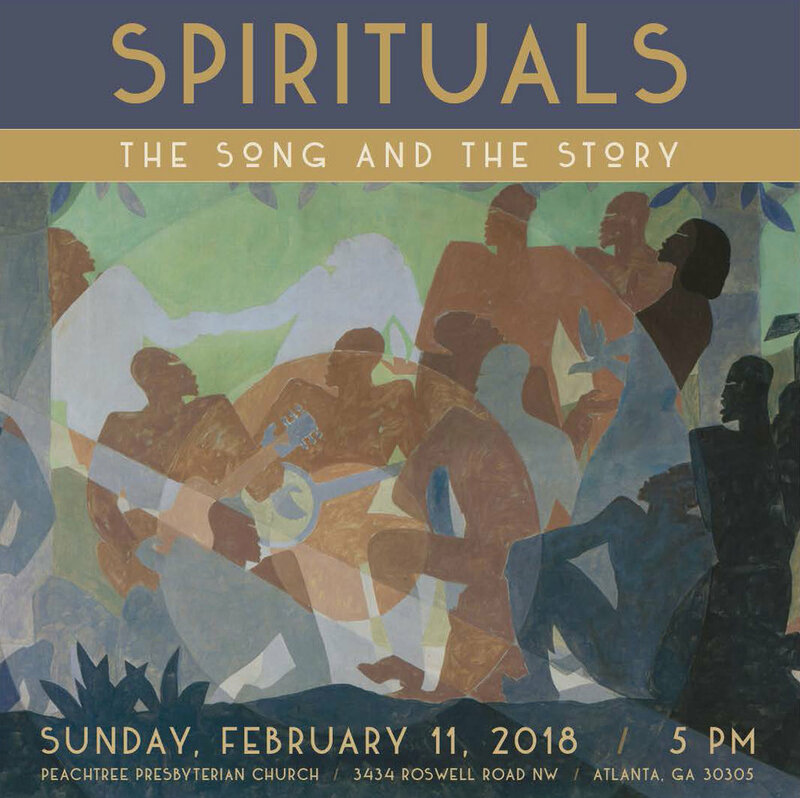 Peachtree Presbyterian Church, in conjunction with Peachtree Road Lutheran Church, The Atlanta Music Project, and other Atlanta congregations; will host SPIRITUALS: The Song and the Story, told through song, word, and dance at 5:00p.m. on Sunday, February 11th in the Sanctuary of Peachtree Presbyterian. This incredible concert is a look into the stories and the people behind many beloved African-American Spirituals, and will feature some of the most marvelous artists in Atlanta. The stories explored are drawn from actual slave narratives in the book In Their Own Words (MorningStar Music Publishers 2016) by Dr. Eileen Guenther. Eileen will share powerful excerpts and weave them into the words of the Spirituals and the paths traveled connecting us to some of the most powerful of the Spirituals. Special appearance by members of TrioKollectiv Dance. Additional information on this event may be found at http://peachtreechurch.org/spirituals. More information on In Their Own Words by Dr. Guenther may be found at https://www.eileenguenther.com/publications/. Reception to follow featuring a book signing of In Their Own Words. “The Power of Spirituals” is an interactive event based on Eileen Guenther’s recently-published book, In Their Own Words: Slave Life and the Power of Spirituals. In this program, Guenther combines first-person narratives and former slave interviews with her own commentary, all interwoven with the singing of Spirituals (by the group, choirs or soloists). Wesley Theological Seminary students, Armand Peterson and Miracle Worrell, will be performing. Many Americans have significant gaps in their historic and cultural education; the music and the texts of this presentation not only shine a light on the events of the past, but also serve as a means of hope and reconciliation in the present. The event is located in Oxnam Chapel on Wesley's main campus.